The Legion of Doom teams up with three-headed aliens invaders from Venus known as “Fearians.” To assist them, Captain Cold ushers in a new Ice Age, necessitating an intervention from the Super Friends, and in particular, The Flash. At the same time, Black Manta sets a section of the Pacific Ocean on fire, and Aquaman arrives there to stop him. However, these are all dastardly tricks to impact the planetary environment, and make Earth’s atmosphere more like that of Venus, and therefore more hospitable to the Fearians. 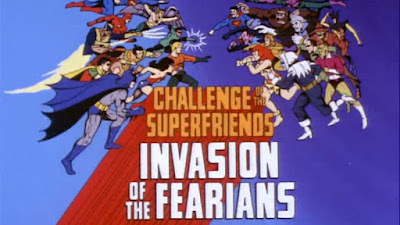 Once more in Challenge of the Super Friends (1978), thirteen of the most dastardly criminals in the known galaxies are “formulating sinister plans that will jeopardize the Earth.” The game this week involves the Legion of Doom tricking the Super Friends into intervening to alter the atmosphere, in an attempt to reshape the Earth to Venusian preferences. 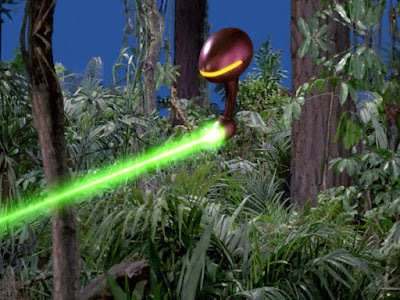 So, basically, the Super Friends, in “Invasion of the Fearians,” cause the process of global warming to hyper-accelerate so that our beautiful planet can be home to a Fearian colony. The second part of the plan involves using android duplicates (built by Brainiac) of governmental leaders, to facilitate the hand-over of power. The new Ice Age angle was a big trend of the late 1970’s (see: Robert Altman’s Quintet 1979]), and the android duplicate angle was also popular in the disco decade, in movies such as Westworld (1972), The Stepford Wives (1975), and series such as The Bionic Woman (1976 -1978), which featured “fembots” as recurring villains. The tale a cautionary one. What happened to Venus, and shaped the monstrous Fearians, could happen here on Earth. 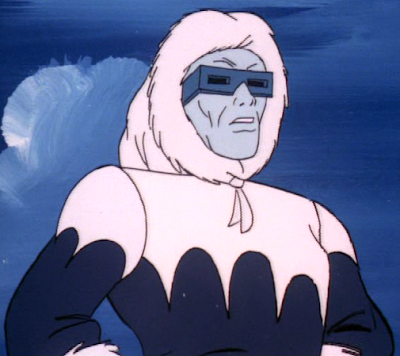 As usual in a Super Friends production, there is little attention paid to scientific accuracy. For instance, Flash reduces his temperature to “absolute zero,” and yet he shows no ill-effects, and can still function perfectly. Superhero heroic powers do not equal invincibility…except on this show. 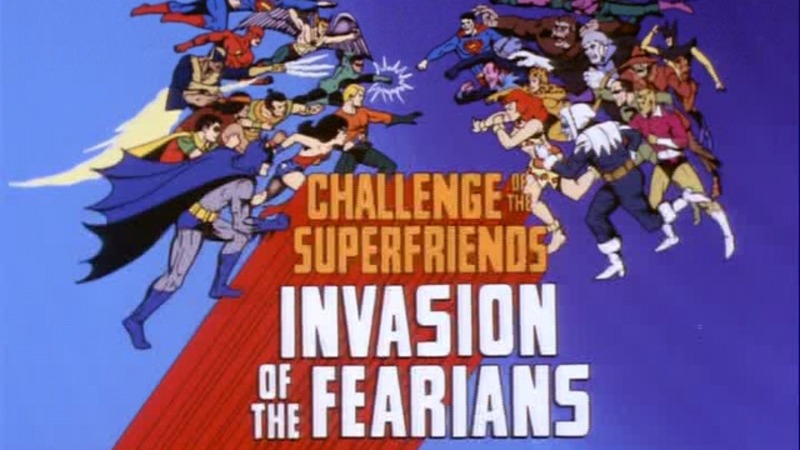 When I reviewed “Wanted: Super Friends,” I noted that there are two specific lines of dialogue that get repeated in every episode of Challenge of the Super Friends. The first is the exclamation: “That’s What You Think!” In this episode, that line is actually said twice in 24 minutes, first by Batman, and then again, later, by Captain Cold.